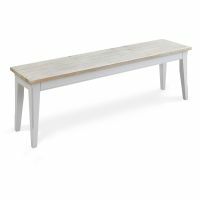 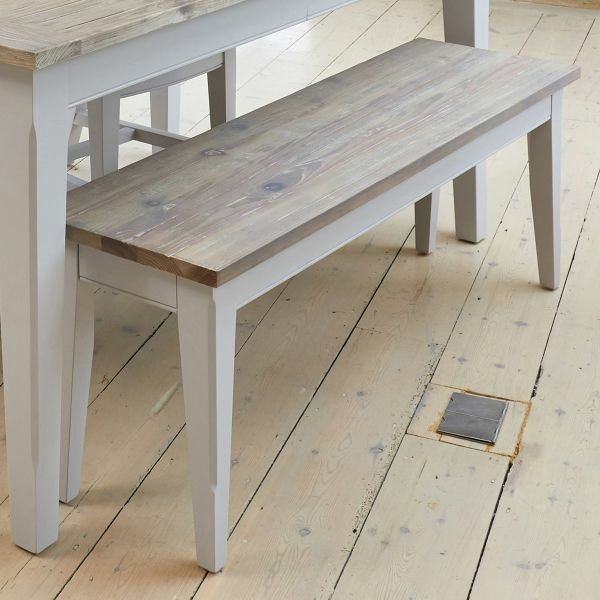 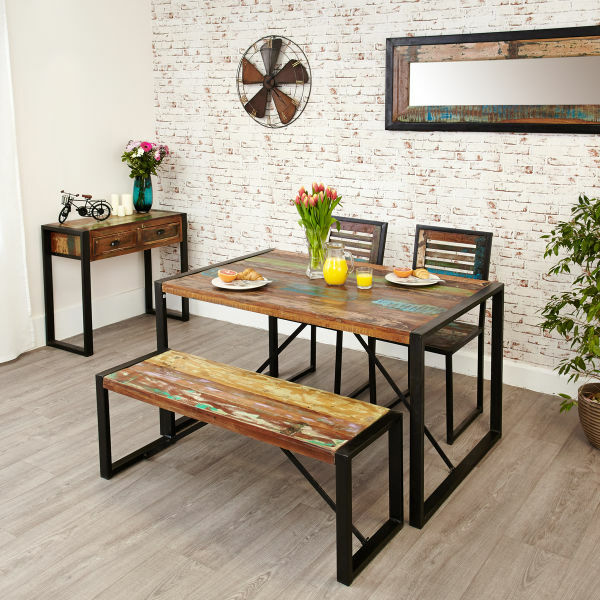 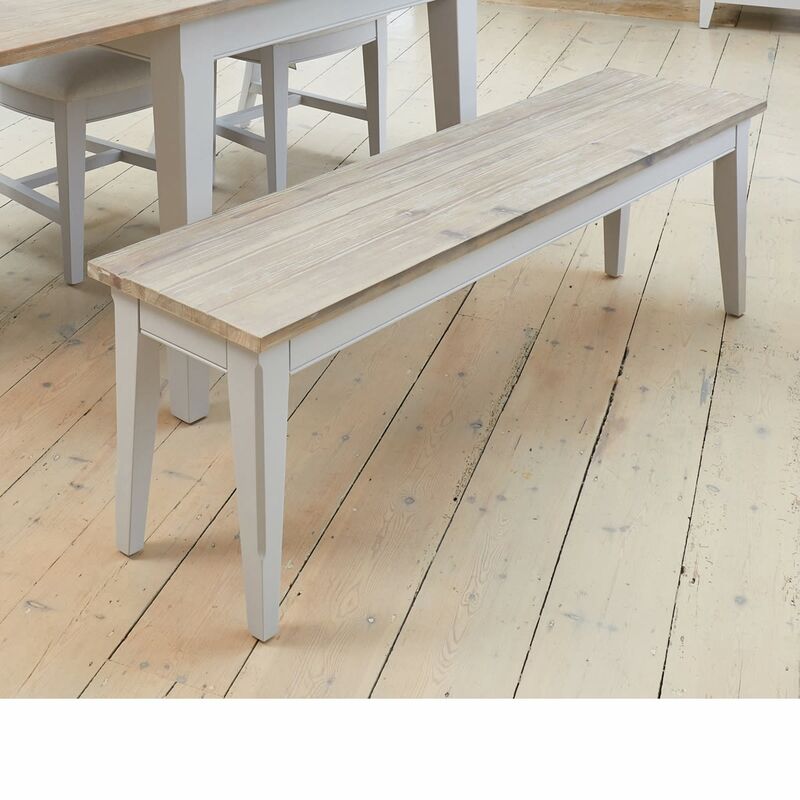 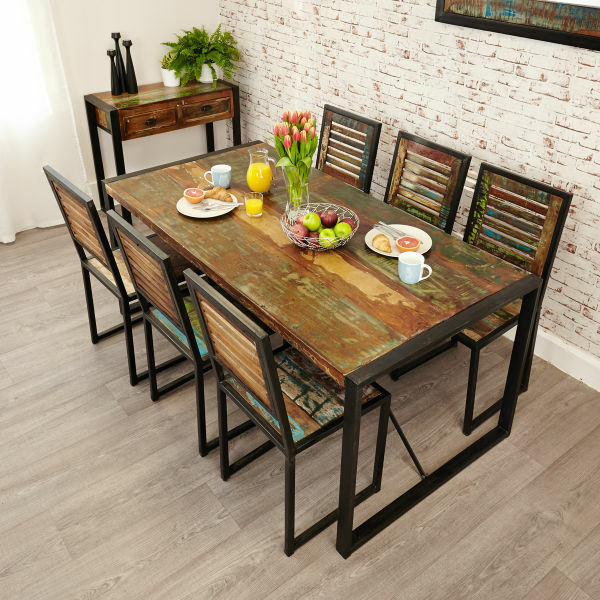 Combined with the matching tables from the range, this Signature Grey 150cm dining bench will bring informal country style dining to your home. 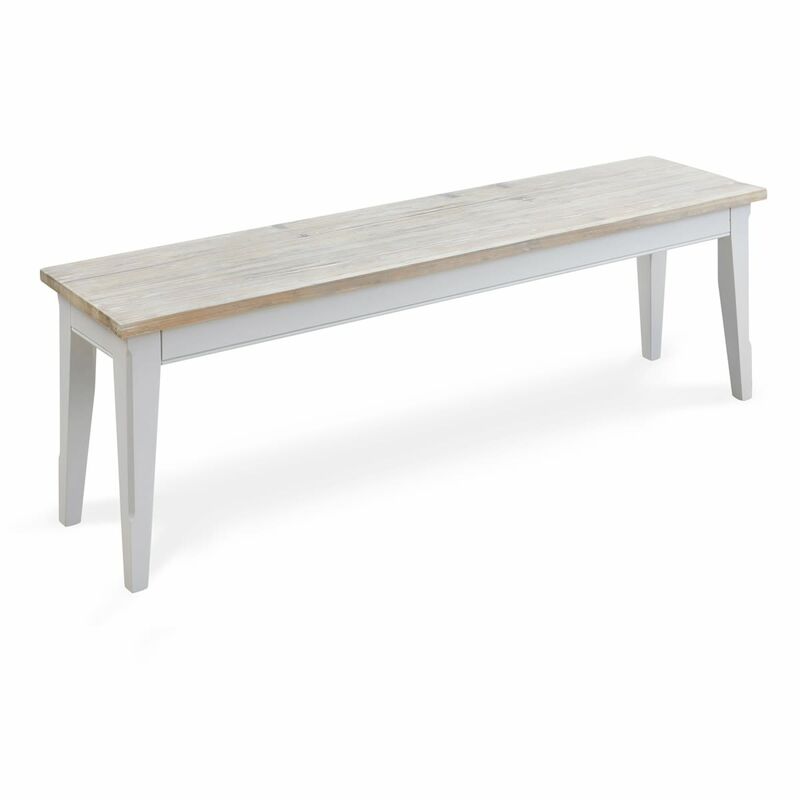 Alternatively, the bench could be the perfect place in the hallway to perch when putting on shoes. 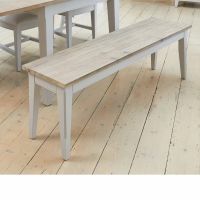 Painted a subtle grey on the legs and frame, the contrasting top has a hand limed top to add extra character to the piece.